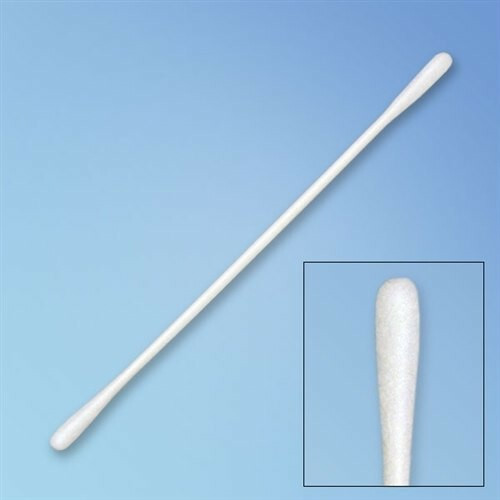 The ultimate list of cotton swab applicator types, lengths, and tip shapes. Check this list for cotton swabs for any need you have! There are thousands of jobs for cotton swabs in your commercial environment, from medical to crafting, cleaning and laboratory applications. Great for application or removal or solvents, fluxes and more. 3-inch wood or poly shafts for your workplace. 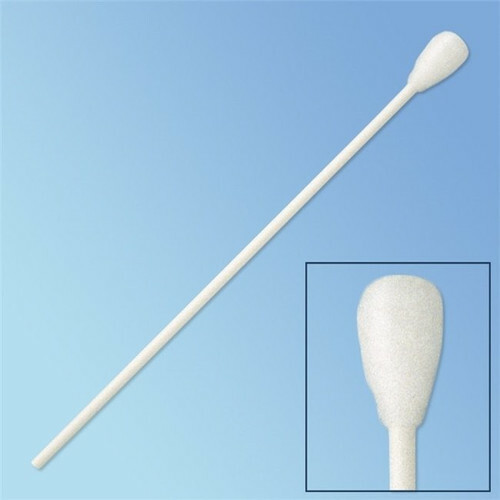 Large cotton-tip swabs with 3-inch semi-flexible poly shafts and large cotton swabs with wood shafts. Small and medium cotton tips made from pharmaceutical-grade cotton grown in the U.S. for quality and consistency. 6-inch long cotton swabs include styles that are longer than the standard cotton swab, which makes them ideal for exam applications, applying medications or cleaning crevices. Cotton swabs offer excellent cushioning and heat resistance but is naturally soft, making it a good pick for everything from static-sensitive environments and cleanrooms to medical applications. Double-sided swabs provide double the value with twice the performance. Because cotton is highly absorbent and is either lint-free or low-linting, double-sided cotton swabs are perfect for a wide range of applications, including cleaning sensitive components. 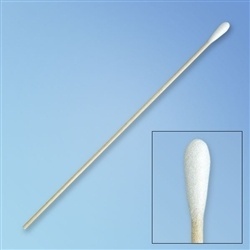 These are excellent general-purpose cotton swabs for various industries and purposes. Low lint/lint-free swabs are made with soft, highly absorbent cotton that does not swell in solvents, meaning they stand up to abrasive cleaning supplies and chemicals without losing their shape. If you’re cleaning sensitive components, the last thing you need is to risk particulate and lint buildup in the process. To address this problem, you should use low-lint cotton swabs. Need help choosing the perfect cotton swab? Get in touch and we’ll be glad to help! Calcium alginate swabs are ideal for use in diverse medical applications. In general, calcium alginate tipped applicators are manufactured using organic fiber. The natural fiber is derived from beneficial sources like seaweed. Therefore, the swabs are safe for use and free from latex, which can cause allergic reactions among patients with hypersensitivity. These products are suited for universal use in medical practices. Calcium alginate is also a biodegradable material. This property is beneficial because there will be no foreign materials left on a patient after use for a prolonged period. The fibers will be dissolved within a short period through contact with tissues and body fluids. Therefore, there is no risk of an adverse reaction resulting from the accumulation of foreign matter. The calcium alginate swabs can be bonded to wood, plastic and metal shafts for easy use. The calcium alginate swabs are suitable for collecting samples for clinical purposes. The shape of the applicator and tip makes the applicator an ideal choice for handling cell collection in difficult areas. 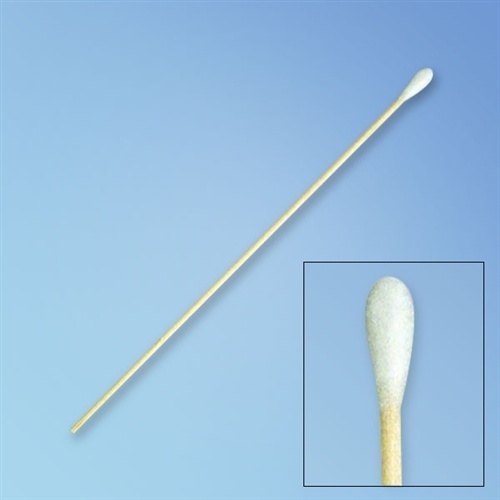 For instance, the swabs can be used for culture collection from the eyes, ears and nasopharynx. The alginate applicators are also valuable in ENT pediatrics and even veterinary medicine. 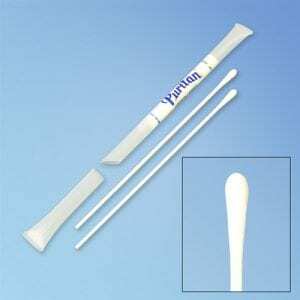 Calcium alginate tipped applicators are ideal for use in STD screening. Unlike other swabs, these products do not contain fatty acids. Therefore, they are suitable for isolating cultures of disease causing microorganisms which are denatured easily. It is also important to note that wounds tend to attract residues from swabs. Alginate applicators are suitable because the residue fibers will be degraded naturally. The alginate swabs are advantageous for use in wound care. The medical-grade products are perfect for cleaning sites of injury because the tip material is organic and safe. If you are interested in acquiring calcium alginate swabs for your medical practice, you will need to choose the most suitable products for your specific uses. The right swabs will ensure convenience, affordability and safety for your workplace. Here are essential considerations for swab selection. When choosing alginate applicators for your operations, you should compare the benefits of different shaft materials for your specific uses. In general, you can choose aluminum, wood or plastic shafts. Aluminum shafts are favorable for urethra-genital applications because they are flexible. Wood shafts are firm and suited for wound care and sample collection. Plastic shafts are semi-flexible and are ideal for wound care. You should compare the sizes of the different alginate swabs on the market before choosing the most suitable for your needs. The critical measurements that you should evaluate are the tip sizes and the applicator length. There is no perfect size for all uses. For instance, larger swabs are ideal for wound care, but they are unsuitable for use in pediatric care. If you need applicators for this purpose, you must look for miniature tips. Medical-grade calcium alginate swabs are available in sterile and non-sterile packages. The best products are dependent on the potential use. Sterile swabs are wrapped individually to prevent contamination from external sources. These are naturally more favorable for medical uses. Non-sterile options are available in simple boxes. Puritan calcium alginate tipped applicators are exceptional products which are manufactured using organic and natural fiber derived from seaweed. 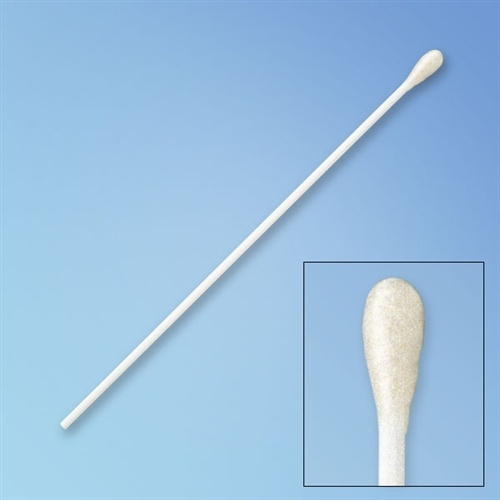 The swabs are available in a range of tip sizes and shaft lengths for different uses. These swabs are FDA compliant, CE-marked and ISO-approved for medical applications. 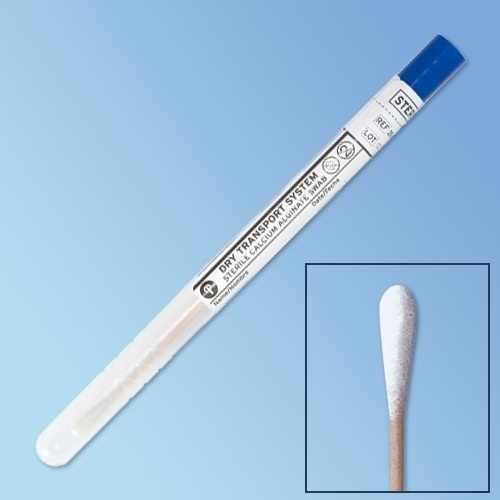 The sterile calcium alginate miniature swab is suited for wound care and specimen collection. The flexible shaft is made from aluminum, making it the ideal choice for urethra-genital use. The miniature tip is also suited for use in ophthalmology, veterinary practices and pediatric care. The sterile calcium alginate tip swabs with wooden shafts are individually wrapped, and they are suited for wound care and sample collection. The tip is regular-sized and the shaft is 6 inches, making the applicators versatile in medical applications. This product is suited for general applications including wound care and sample collection. These swabs are economical for heavy use workplaces. 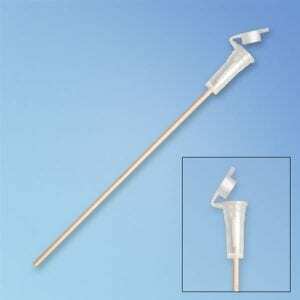 This sterile calcium alginate swab applicator comes with semi-flexible plastic shaft and a standard size swab. 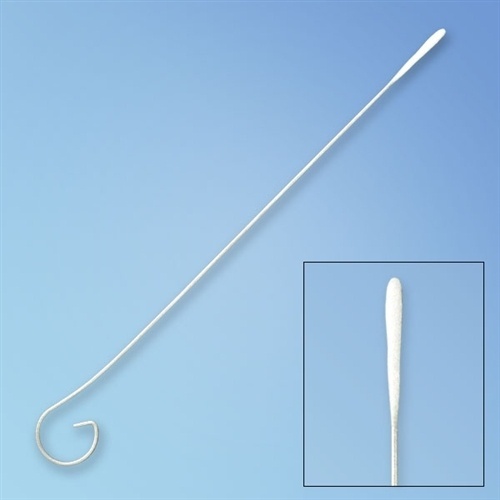 If you are interested in calcium alginate tip applicators for your medical practice, you should check out the wide range of economical and versatile products available from Harmony. Whether for genetic testing or another application, preserving DNA integrity through all steps of the handling process is essential to avoiding potential errors, which can be costly and time-intensive to correct. The most effective way to proactively avoid DNA specimen degradation is selecting the right tools for your needs. Are you going to prepare the DNA for examination immediately after collecting it? Will the specimen be stored for use in the future, and if so, for how long? Do you expect to ship the DNA specimen to an offsite processing lab? If so, what is the anticipated time frame between collection and examination? Most importantly, the main objective is to minimize the amount of degradation that your DNA specimen undergoes. The more time between collection and processing that passes, the more measures you’ll need to put in place to preserve the sample. Additionally, moisture is another degrading factor, so preventing increased moisture levels is essential. Swabs are the first tool used in the specimen collection process, and they play an important role in maintaining the integrity of your samples. 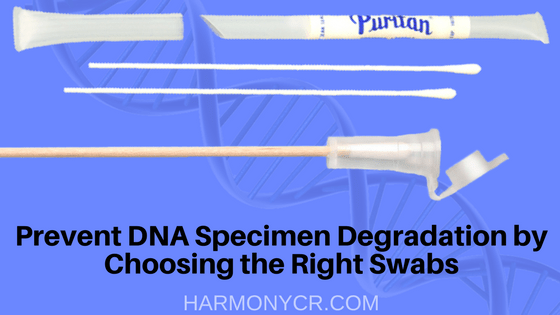 As such, it’s important to select the right type of swab to keep DNA protected. It’s best to select a sterile dry swab, because again, keeping moisture at bay is important for safeguarding your samples. If you’re transporting the specimen and don’t plan to use a preservative solution, it’s ideal to allow the swab to air-dry before preparing it for shipment. As long as the environment is kept at a suitable temperature and humidity level, 30 minutes of drying time should suffice. Depending on your application, you may also wish to consider a cap to prevent DNA contamination. Puritan offers many swabs with the the cap built in. These swabs are called Cap-Shure® and feature an aerated tip protector over the swab tip to help the drying process and protect the specimen. Another option for keeping your swabs protected against cross-contamination is using plastic transport tubes. The swab attaches to a cap and is inserted into a tube, much like a test-tube. A label affixed to the outside of the tube allows for data to be written about the specimen collected. Dry Transport Swabs include their own transport tubes for safe travel and are available with different tip materials such as calcium alginate, cotton, flocked, foam, polyester, and rayon. Whichever option you select, Harmony Business Supplies has all of the right products to help you handle and transport DNA specimens as efficiently as possible. You can view their vast array of options online now, or get in touch with a product specialist for more information. Proper gun cleaning is critical to keeping firearms in the best possible working condition. Cleaning guns after each use preserves their safety and durability by removing residue buildup. Something as seemingly insignificant as powder residue can impact the accuracy of a firearm. You certainly don’t want to gamble with whether you’re at the range or in combat. A small – but mighty – tool to consider adding to your kit is a pack of gun cleaning swabs. 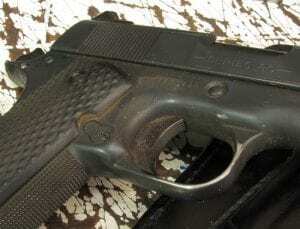 A dirty firearm is not happy – and it can be dangerous! Another downside of failing to properly clean your gun is that it will be more prone to rusting and similar forms of permanent degradation. You might not think it’s necessary to clean your gun after firing just a few rounds through it. But even the salt from your palms can damage your weapon! Since most guns are considerable investments, keeping them well-maintained is necessary for preserving their value. One of the best ways to keep your gun free of dirt and debris is to clean it using the best possible tools. While each firearm collector likely has their favorite go-to cleaning kit, it’s a good idea to consider upgrading your supplies every now and then. This is especially true if you’ve been hitting the range more often recently! The nooks and crannies of your weapons can be difficult to clean with traditional brushes and cloths, which is why foam and cotton-tipped applicators can come in handy. Tight spaces like the bore of the barrel need to be cleaned, but only a small swab will be able to get in there and completely rid the area of buildup. 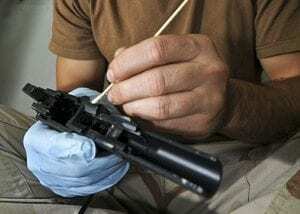 Gun Cleaning Swabs are the best tools for keeping your firearm in tip-top shape. Each gun has its own small space which can benefit from a thorough cleaning using an applicator and the solvent. With semi-automatic weapons, the areas beneath the ejector, contact points between the frame and slide, and the slide’s interior grooves can all attract residue. Revolvers can accumulate debris in the forcing cone, cylinder ratchet, and along the face of the cylinder. If you own multiple types of firearms, having different sizes and types of swabs on hand can be useful. 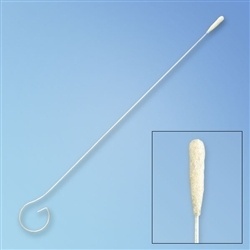 For instance, Puritan makes low-lint swab 6” cotton applicators, which are ideal for cleaning most types of guns. If you have weapons of larger calibers and longer barrels, however, you may need longer applicators, such as the 8” shaft swab. Some gun owners also prefer anti-shedding, lint-free, foam-tipped swabs. But don’t just take our word for it. Even the U.S. military agrees that foam and cotton swabs are the best tools for effective firearm cleaning. Swabs are utilized by servicemen and women to ensure the utmost level of cleanliness, functionality, and safety of their firearms. Both active duty and veteran shooters know the importance of having a clean gun. Which is why they turn to these powerful little products whenever it’s time to clean their weapons. 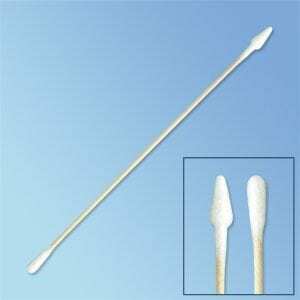 Puritan Double Tipped Swab – 2 Types of Tips for Gun Cleaning! If you’re a firearms owner and would like to purchase some gun cleaning swabs to include in your gun cleaning kit, visit Harmony Business Supplies online to browse through your options. Speak with a product specialist to find which gun cleaning swabs are the right fit for your needs.